The Shore Tee by FootStake™ is a new product that offers a simple solution for canoe and kayak storage. Anyone who owns one of these fun toys understands the downside—they can be expensive and inconvenient to store when not in use. To keep these beloved vessels in tip top shape, it’s imperative to store them safe and securely. The Shore Tee is an innovative boat rack that does exactly that. Not only is it simple and convenient solution for home storage, it’s also lightweight and portable, allowing owners to take it with them on their outdoor adventures. As lovers of water sports ourselves, the Sage Island team was excited to establish a brand identity for the Shore Tee and launch a cool new product. 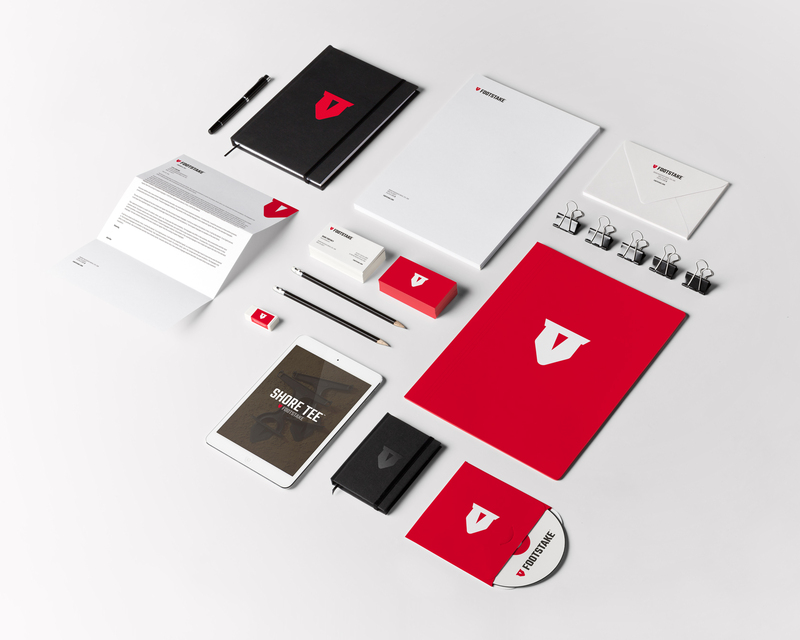 The first step was creating a logo that conveyed its ruggedness, simplicity, and usefulness. It also had to be versatile, since the FootStake™ company planned to eventually use their patented shovel shape for other products beyond boat racks. Our talented graphic designers wanted to ensure the logo truly reflected the FootStake™ Company and the product itself. It was also important that this design could communicate well across all web and print mediums. FootStake™ products are sold both online and in retail stores, and the logo needed to appeal to both online shoppers and more traditional consumers. Our team concentrated on the logo mark design, the font of the signature, and the color scheme to guarantee they fit the action sports industry. They fully immersed themselves in the lifestyle and what it means to be ingrained in the outdoor community. Over the course of this project, our designers came up with a number of preliminary sketches as they worked toward a solution that embraced the world of kayaking and supported the vibrancy of water sports. It was essential that the logo mark fit the niche of its target demographic, while still reflecting the industry and product. The color scheme was also crucial to this design. We wanted to choose colors of actual kayaks so the focus was on bright yellows, reds, and teal. Ultimately a unique shade of red was chosen as the winner. It’s tough and rugged feel appeals to both genders, and offers just the right amount of pop. The logo signature was the final piece of the puzzle. We mimicked the product’s sharp angles to give the logo signature to give it a clean and modern look truly reflective of the Shore Tee by FootStake™ brand. The design echoes the product while also emphasizing its lifestyle brand. After three rounds of brainstorming, revising, and heading back to the drawing board, a new logo was born. The Shore Tee by FootStake’s emblem is strong, vivid, and adaptable— much like the product itself. If your company is looking for a vibrant new logo reflective of your brand, contact Sage Island. And stay tuned for our next post, which will celebrate the brand-new website we designed for the Shore Tee by FootStake™.